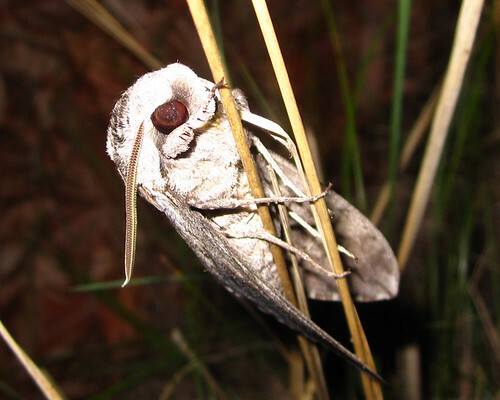 Just a hawk moth (Sphingidae), hanging onto some grass near a sheet (it was attracted by the mercury vapor light, but didn’t fly all the way in). Posted on September 3, 2011, in Uncategorized. Bookmark the permalink. 1 Comment.